Ideal for those with acne-prone skin. 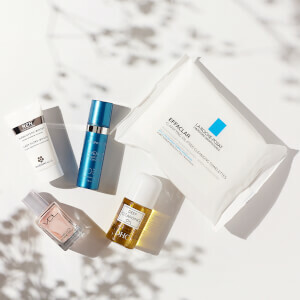 After cleansing and toning, spot-treat with one pump. It may be used twice daily. Follow with the appropriate PCA Skin broad-spectrum SPF product in the daytime and antibacterial hydrator in the evening. 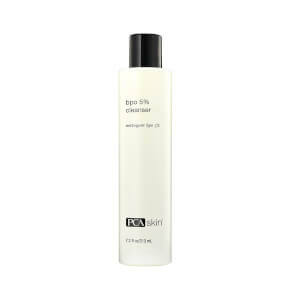 Salicylic acid is a calming lipophilic beta hydroxy acid that helps promote a clear complexion. Eucalyptus leaf oil and hemlock oil offer purifying benefits. Tocopherol (vitamin E) is a fat-soluble antioxidant and emollient. Lecithin is a lipid that helps skin remain supple. Water/Aqua/Eau, Saponins, Vegetable Oil/Olus/Huile Vegetale, Glycerin, Sorbitol, Sulfur, Salicylic Acid, Lecithin, Aloe Barbadensis Leaf Juice Powder, Tocopherol, Glycine Soja (Soybean) Oil, Eucalyptus Globulus Leaf Oil, Tsuga Canadensis Leaf Extract. I purchased this based on recommendations that I read. Was very disappointed that acne gel did nothing for my acne. No effect even when used on the small minor ones I spot medicated. Not even mildly reduce the inflammation. Wasted money. Guess it can work for some and not others. I have sensitive skin and had an attack of acne in my chin area. Was looking for an acne spot medication that was more effective than the Neutrogena I was using. Found this to be gentle but effective. Helped quiet down inflammation of less formed acne. Dried it out. You only need to apply a thin layer. ive got lots of acne growing mostly under my chin and upper lips and i hated it so much. i had tried a lot of products from mario badescu, murad etc but it didnt help me i was thinking it might be a hormonal thing so i went only and came acros facial product review and found this brand so i tried it because i was so desperate already and i was lucky it turned out that this one is really amazing especially if youve got cystic acne im so glad that i found this product. so i gave this 5 star. This is an excellent spot treatment. It dries clear, which is very good, and if you don't use a heavy hand, can be powdered down with make-up after it dries without rubbing it off. Highly recommended.